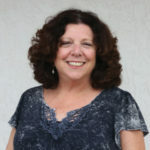 FORT LAUDERDALE — Seminoles have used the New River and its tributaries as a highway for trade with settlers in Fort Lauderdale since the early 20th century. 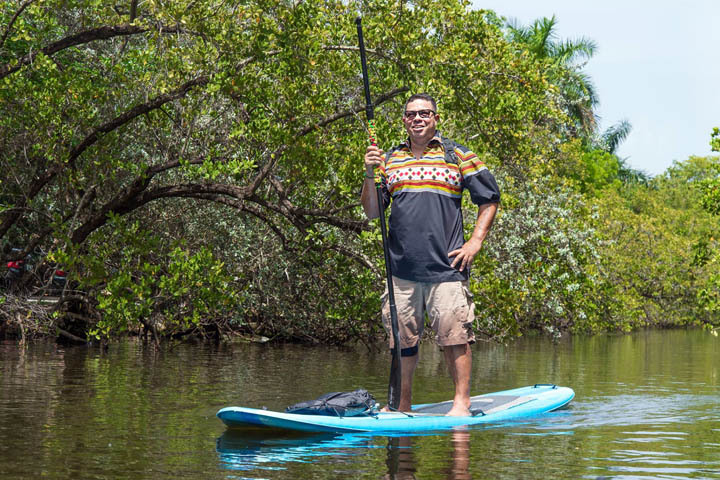 On May 10, Tribal members and waterway enthusiasts paid tribute to Seminole culture and history as they embarked on the Himmarshee Canal in canoes, kayaks and paddle boards for the Paddle Up on the Himmarshee event. Dressed in traditional and modern patchwork garb, Pedro Zepeda and Jerome Rockwell, of the Mohawk Tribe, used a replica dugout canoe from the Ah-Tah-Thi-Ki Museum to navigate the canal, while Jason Don Billie used a paddle board. About 15 people participated on the water, but spectators experienced pieces of Seminole culture on the banks of the canal throughout the afternoon. Larry Mike Osceola II displayed vintage patchwork clothing. Pumpkin frybread samples gave attendees a taste of a favorite authentic food. Photos from the W. Stanley Hanson collection were enlarged, colorized and displayed on bridges over the canal. Tribal sponsors included the Seminole Hard Rock Hotel & Casino Hollywood and Seminole Pride Noble Juice. Paddle Up was conceived and organized by Robin Merrill, owner of the Upper Room Art Gallery, where Zepeda is carving a canoe to showcase the traditional art form. The event and canoe project are part of the Tribal Arts Project, funded by a $30,000 Knight Arts Challenge grant, which aims to bring a stronger indigenous presence to the Las Olas Village area of Fort Lauderdale through art and cultural events. Twice a month Zepeda carves the canoe using hand tools and a chain saw at the Upper Room Gallery for passersby. He is creating it from a cypress log recovered from the Big Cypress Reservation after Hurricane Wilma toppled the 200-year-old tree in 2005. The canoe project began in February and Zepeda anticipates completing it by September. At times, Zepeda said he lets gallery visitors use a small tool, like an adze, to carve a piece of the canoe. When the canoe is completed and sold, Zepeda said he would like to see it displayed where people can learn about Seminole history.